Remember on Monday when I was feeling all flibbertigibbetty? 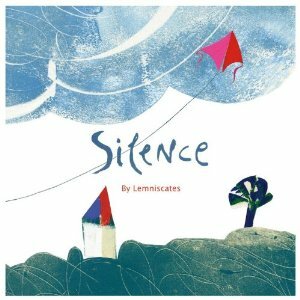 Brief Synopsis: A child takes different moments of peace and quiet throughout the day, in different seasons, and in different locations, to see what the world has to say. If you asked for book marks and don’t see your name here, please let me know! Saba and Amy both said they would like some but I need to know how many. Vanessa, Patricia N,. and Donna – I’m happy to send you more if you need them – please let me know – but I only had 1000 to start. ONLY! I can’t believe we used them ALL! If anyone else would like book marks to pass around to local libraries, schools, teachers, parents, day care providers, preschools, etc., please let me know. If you email your address and let me know how many, I’m going to order some more and I’ll send them along! And now, a quick reminder before the weekend, when some people might be able to find a few spare minutes to work on it… The Halloweensie Contest is next week! – Wednesday October 31 to be exact!! – tons of fun and a great prize (as well as incredible fame should you happen to win :))!!! So whip up those 100 words! For complete details, please see HERE. And can I just say, I don’t know what’s up with the weather, but after saying I hoped we wouldn’t get 2 feet of snow that knocks out the power and the internet like last year, would you believe we have a HUGE storm predicted for Tuesday into Wednesday? I am going to do my best to get the post written ahead (Stop that! I hear you rolling around on the floor laughing! I didn’t promise, I said I’d TRY!) so that everyone will be able to add their links and such even if I can’t get on to read. By planning ahead, I’m hoping to scare the storm away altogether. I am that powerful. But in case the worst happens, we will still have our contest whenever the power comes back on! Would You Read It Wednesday #63 – Scooter Annie Braves The Hill (PB), Straight From The Editor #13, AND The Halloweensie Contest!!! Oh Susanna – How Do You Decide Which Blogs To Follow? Great choice. This is the kind of book I'd like to write. I'm glad to see there is a market for it. Will have to pick up a copy. In this busy world where we over schedule our kids, they no nothing of being silent. I know, I really love books like this. But they are hard to sell! Precisely because of what you're saying, I think, Pat. I am very familiar with that typing sound! 🙂 I'll send the bookmarks along when i have some more!